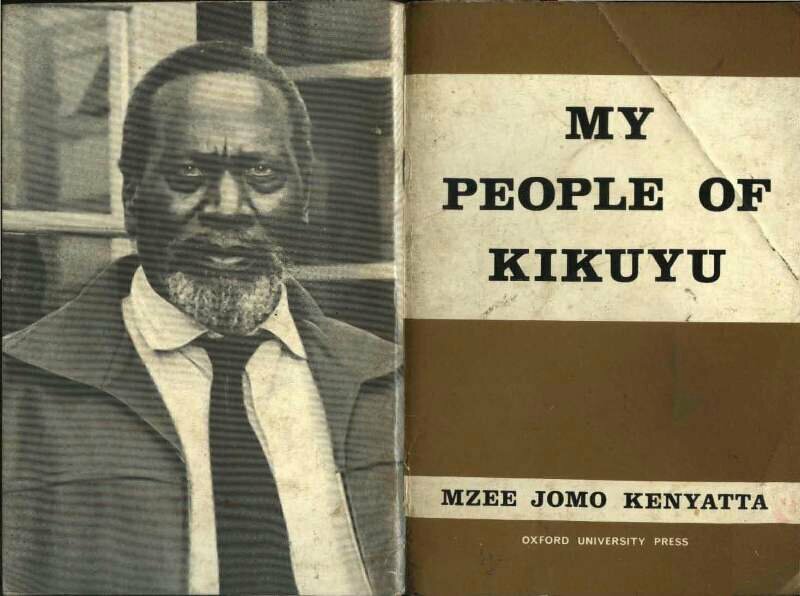 One of the great resource books on the Gĩkũyũ people is a little known book of just 59 pages by none other than Jomo Kenyatta, the author of the more famous and more comprehensive “Facing Mount Kenya”. The little book was first published in 1942 and seems to have been a preparation for the later more comprehensive thesis. 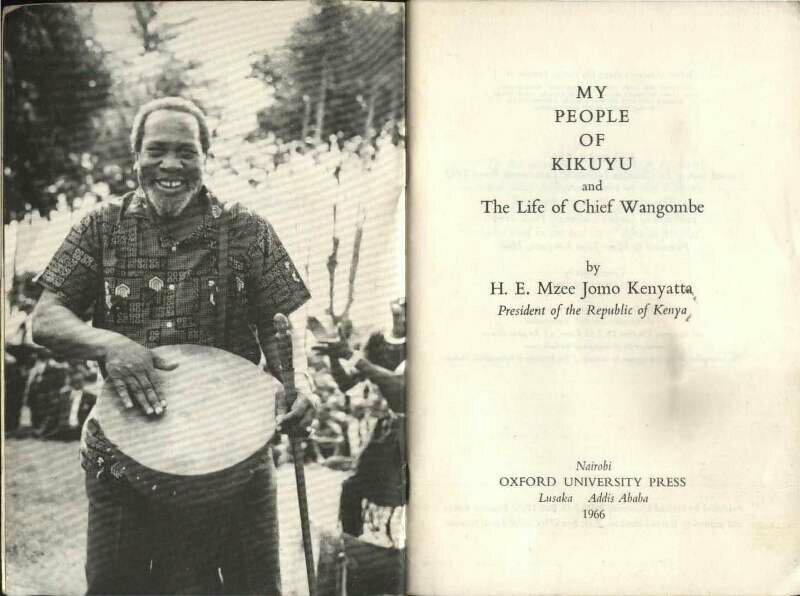 Titled “My People of Kikuyu and the life of Chief Wang’ombe”, it is divided into two parts as the title implies. Wang’ombe wa Ihũũra achieved the status of one of the greatest Gĩkũyũ warriors who ever lived and his story especially the warrior stage has always fascinated young Gĩkũyũ men especially those coming of age and entering warriorhood What better story to tell young men than that of a warrior who confronted a hungry leopard attacking his father’s sheep, killed it and ate its heart. Wang’ombe wa Ihũũra is the Gĩkũyũ equivalent of the Hebrew Samson, the Greek Achilles, the Luo Luanda Magere. Practically all readers of the Gĩkũyũ Language will remember the famous paragraph beginning his story as told by Fred K. Kago in “Wĩrute Gũthoma. Ibuku rĩa Keeri”. For boy initiates graduating from boyhood to men, these stories of legendary warriors form the foundation of their teaching. Who can forget the stories of the great warriors of Greece read and re-read in boyhood? The great thing about these legendary stories is that their basic storyline remains long embedded in memory and it is only later, much later that their true meaning and import in life reveals itself. Take for example The famous story of the Greek Argonauts or specifically “Jason and the Search for the Golden Fleece” Every young man will with time come to appreciate that all the elements, the ship, the sirens, the dragon, and the golden fleece itself just to mention a few are mere symbols pointing to much higher ideals. For any young man, the greatest dragon that he confronts in life is his ego and the winning of the softer and finer things in life like love, joy, family are represented by the Golden fleece. It is the same with the stories of Gĩkũyũ warriors and heroes of old. 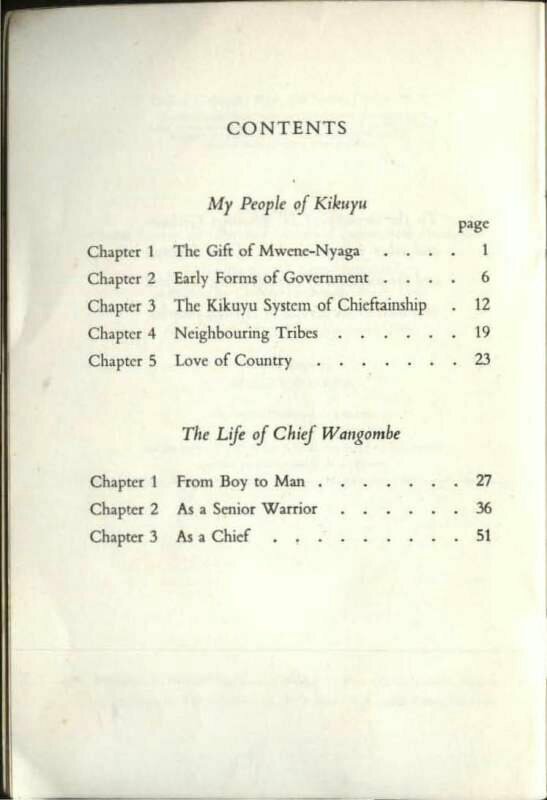 The tales of Waiyaki wa Hinga, Wang’ombe wa Ihũũra, Karũri wa Gakure, Wangũ wa Makeri and others constitute the foundational teaching for Gĩkũyũ young men and women as they enter into adulthood. Today the great number of Gĩkũyũ initiates go through what is styled as church teaching. There is no problem with that except that the legends are then drawn not from Gĩkũyũ mythology but from Hebrew mythology. It is well known that at bottom these myths share a commonality that sometimes is quite startling. This is because they come from the same Centre the Chinese call the Tao and which reveals itself to people in the manner most suited to that people – As Yahweh to the Jews and as Mwene Nyaga to Gĩkũyũ. The problem of living other people’s myths is beyond the scope of this post and will be discussed at a later date. One of the best stories from the Hebrew New Testament that would be very appropriate for young men and women entering into a new phase in their lives is told in the book of Luke 4:1-14. Jesus is about to enter into a new and important phase of his life and consequently withdraws into the desert to contemplate on his coming healing ministry. After fasting for forty days and nights he is then confronted with three trials of his capacity to say NO. Not until he is able to say NO three times is he then ready to begin his ministry of YES to healing and YES to salvation. I know the capacity to say “Yes we can!” was popularised by the so-called Kenyan, American President, Mr. Obama, but the capacity to say NO is much harder and just as important if not more. No girl will ever become a woman of substance, a Gĩkũyũ Ngatha, if she does not learn early how to say NO to certain suggestions. No young man will ever amount to anything without saying NO to a myriad of temptations, be they drugs, betting, etc. Jesus said NO three times to the temptations and was thus enabled and strengthened to be able to reply to a blind man, “Yes, I can”. Gĩkũyũ young men graduated into warriors and were then enabled to use the spear and shield. Think about it. The shield is protective and is a NO to any aggression. The spear is positive, proactive and is a YES. It is interesting that one of the great assignments given to the initiates was the design of their age group dancing shield, Ndome. The meanings embedded in each group’s Ndome was a closed secret only revealed to members of that particular group. Young Gĩkũyũ men today are not called to be warriors who battle the Maasai or wild animals like in Wang’ombe wa Ihũũra’s time. They are called to arms to battle the great beasts and dragons waylaying them on their way to becoming mature and responsible adults. These dragons are, drugs, alcohol, social media addiction, television mania, online betting, violent video games just to name a few. Will our young men and women be enabled to say NO to these destructive agents? Will they say “Yes we can!” to the great things in life? 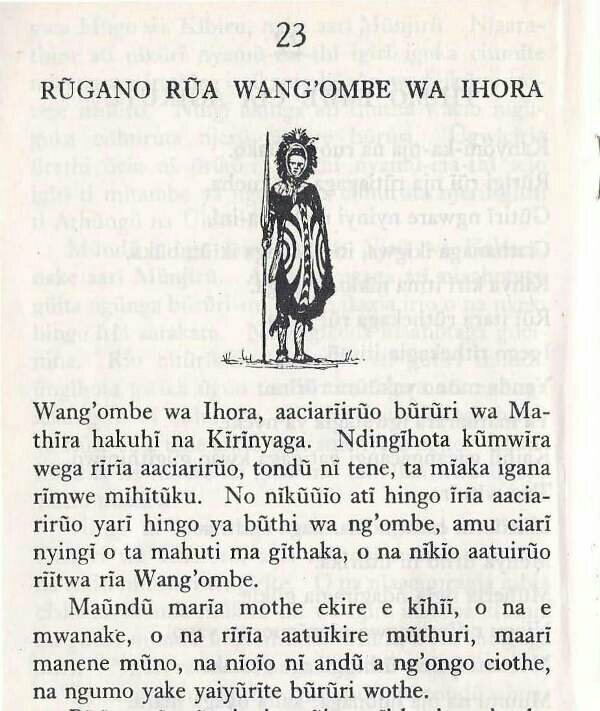 Let us teach them well and let them hear the stories that matter – Like the story of Wang’ombe wa Ihũũra. 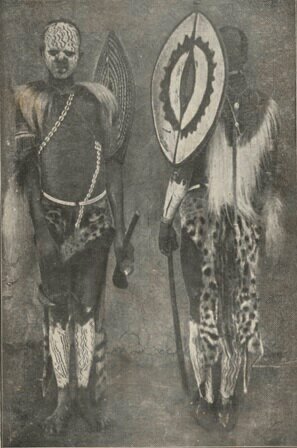 Gikuyu circumcision initiates in full regalia that included the shoulder dancing shield, Ndome. The designs on the Ndome were chosen and executed by the initiation age set. This takes back in time. Back in class two reading about Wang’ombe wa Ihuura. What a time it was. Innocence and trust carried the day. This I would love to continue seeing more of as well as the thesis. I feel like I am home. I love the culture of the Agíkúyú and much as westernisation has eroded it, I still feel that no one can detach me from it. Uhoro uyu ni wa thogora utangigerwo! Ni ngatho mwandiki. My grandpa Fred Karanja Kago was a real writer.I salute him posthumously.